The first inhabitants of the LaHave Islands were the Mi’kmaq Natives. 20,000-30,000 years ago Aboriginal ancestors migrated from Asia during the last major Ice Age. When these nomadic hunters found their way to Nova Scotia, about 11,000 years ago, the shoreline was somewhere in the Grand Banks. For the past 6,000 years the ocean levels have been rising, leaving the original Native settlements under water. They occupied the area on the west side of Green Bay near the mouth of the Petite Riviere River, and on the east side of the LaHave River. The old Indian portage trail exists today as a road called Indian path. When the famous French explorer Samuel De Champlain arrived in the new world during his 1604 voyages the first place he saw was this area. He called it “Une Baie ou Il y a quantite d’isles couvert de bois” or in English, “A Bay where there are a large number of islands covered in trees”. He named this area “Le Cape de LeHève” in honour of the last place he left in France, Cape de LeHève, nearby Havre de Grace. This would be the first written record of what would become known just simply as LaHave. Champlain and Lt. General DeMonts, who was appointed Lieutenant General and was to bring French settlers to the New World, set about mapping and writing about the area, using Cape de LeHève as their base camp. They anchored in Green Bay for four days and met Micmaq people in the area. 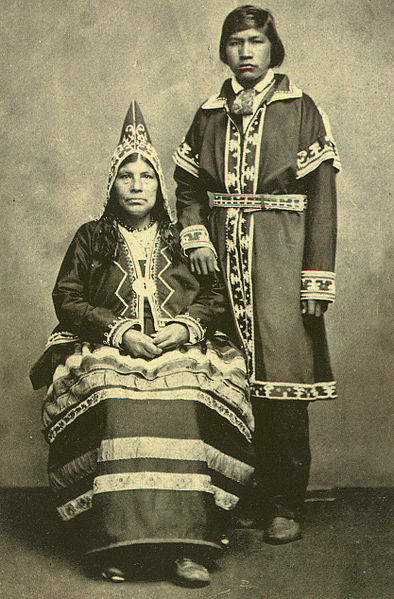 People in the area became sparse, except for the occasional tribe of Micmaq people to pass through, until 1632, when the French returned under the leadership of a newly appointed Lt. Governor Isaac de Razilly. Razilly, with the aid of his brother Claude, recruited carpenters, writers, soldiers and a few families from Chinon, Anjou, Touraine, Poitou, Bretagne and Paris. On July 23rd 1632, t hree ships, the Saint-Jean (250 tons), the Esperance-en-Dieu, and another unknown vessel, raised anchor from the port of Auray, Bretagne, and set sail for Acadia. On route, a fourth ship, leaving from La Rochelle, joined. 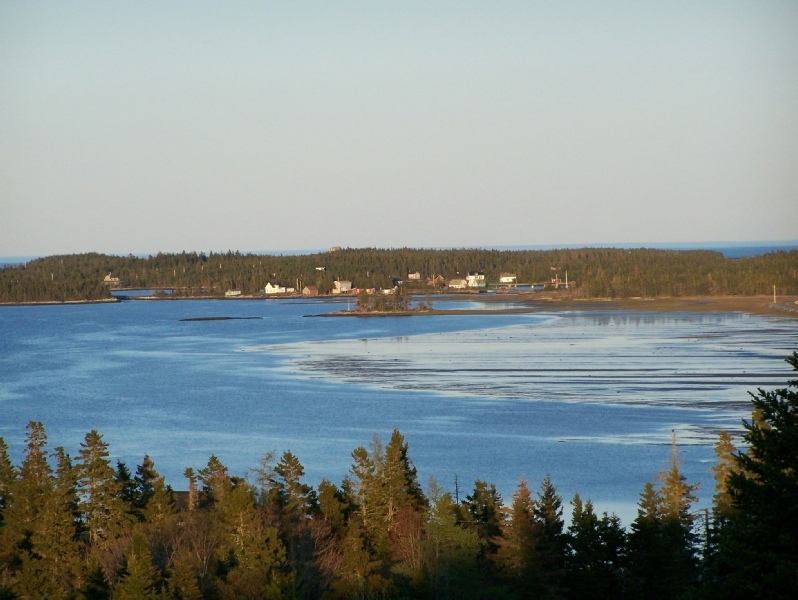 After 7 weeks of sailing, on September 8th, 1632, they reached the mouth of the LaHave River. Judging the strategic advantages of such a place, Razilly decided to found a colony of 300 here rather than Port Royale. Quite religious, and arriving on the day of the birth of the Blessed Virgin, he named it Fort Sainte-Marie-de-Grace, today’s Fort Point Museum. For the construction of the buildings, he chose a point on the right side of the LaHave River. This point commanded the entrance to the river and juts out into a piece of the gulf formed by L’Isle au Framboise (today’s Mosher’s Island) and the Cape D’Or (Gaff Point). In the fall of 1633, Razilly had cleared the land of Petite Riviere, about 15 kilometres west of Fort Sainte-Marie-de-Grace, and established about 40 people there. Over the ensuing years, Acadia alternated between French and English rule. In 1760, France lost several major battles to the English and, in a treaty following in 1763, France lost all possessions on North America (except for the tiny islands of Saint Pierre and Miquelon near Newfoundland). A representation of Samuel de Champlain. There are no know authentic pictures. 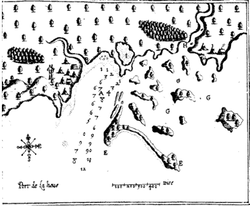 Map of “Port de LaHeve” drawn by Champlain on his visit to the New World. This is one of the first maps of the area. 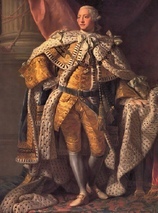 In 1785, King George III of England granted the LaHave Islands and vicinity to Joseph Pernette, Henry Vogler, Mathew Park, Joseph Whitford, George Grieser, John Baker and their descendants, with the intent in building a large new colony. Few of these families would actually settle on the islands, or even in the area, but after their death, their land was auctioned off to mostly German and English settlers. According to DesBrisay, the first of these settlers included Wendel Wolf, Benjamin Tumblin, and Michael Publicover. By 1838, the census listed 20 families with a total of 136 inhabitants, which would become ancestors to much of the current population. This was mainly a fishing community with families raising their own produce. Hardly the immense colony originally intended in its founding, nonetheless, it was a prosperous little community that would see few changes for many years and become quite creative with what little they had to work with. Today the LaHave Islands and surrounding areas are popular tourist destinations. Although it has seen much decline, the fishing industry is still prevalent in the area today. While only a few of the Islands, such as Bush and Bell’s, have permanent residences, many of the Islands are home to summer cottages. View of the LaHave Islands from the mainland.